New tutor Joni Goldberg writes about her experience after the first few sessions with her student. I approached VEP with excitement, not only to help someone learn English, but also to learn about their life in another part of the world that is so different from my own. I was just matched with Fatmata, a woman my age from Guinea who is at an intermediate level in English. Fatmata is fluent in French, Mandingo, and Susu which clearly shows she is naturally good at learning languages. She wants to get better at her English so she can begin to live more independently here. Her main goal is to get a job in one month. Our first few classes went very well. I think we are a really good match. We initially met at the West Chester library but later decided Giant was a better meeting spot for us. We can talk louder and share music. I always begin each session asking Fatmata if she has any questions. I find this helps shape our lesson based on her needs. For example, she mentioned her need to understand change better so that she can shop on her own. Guinea uses the Guinean Franc and there are no coins used for change. We had fun pretending I was buying things from her and she would count out my change. Also, we tried out the language experience approach (learned in training). I let her pick a topic that she liked best from a list of topics. She told me about her favorite music and I wrote down everything she said. We then went over it sentence by sentence and she was able to explain her thoughts more clearly. I thought this activity went really well and will use it again. Another lesson we enjoyed was reading the comics in the newspaper. This is surprisingly more difficult than I thought it would be. The use of play on words and idioms for humor can be confusing and even I found myself tongue-tied when trying to explain them. We found ourselves laughing even if we didn’t get the joke. At one point I tried to help her start a resume. I saw that I overwhelmed her by it so I knew to hold off on this. I will wait a few more classes before we touch base on this again. As our classes continue, Fatmata is opening up a lot more about her family back in Guinea. She shows me pictures of her family and tells me about their traditions. I love hearing her stories and find this to be the most rewarding part of it all. I am really enjoying my time with Fatmata and always look forward to what new things we will be learning from each other. Thanks, VEP for the great match! 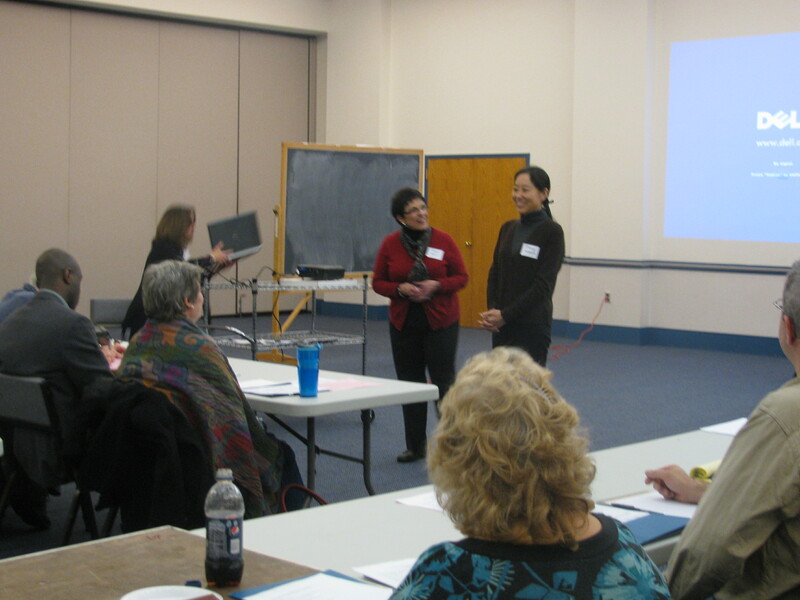 At the most recent tutor training session for the Volunteer English Program, 28 people came from all over Chester County to learn how to teach English as a second language to adult immigrants. Our tutors work one-to-one with another adult, twice a week for 1 ½ hours per session. They make a commitment of one year, yet most tutors and students work together for longer than a year. Quick math: that’s about 150 hours in a year that these 28 generous men and women were prepared to give. And it never ceases to amaze me. As one who trains these new volunteers, and as one who went through the same tutor training session 6 years ago, I am always entirely impressed by the people eager to be tutors. They come from all walks of life, in all stages of adulthood. There are young moms who want to help while their kids are at school. 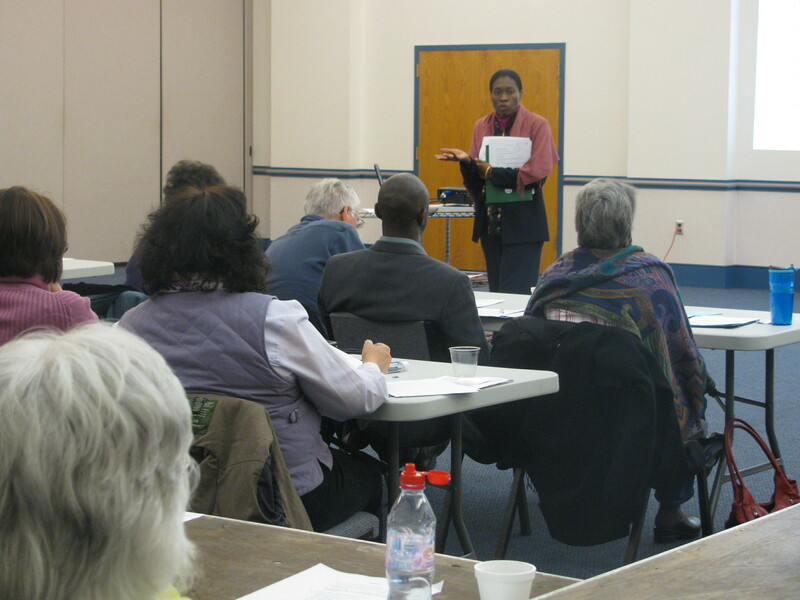 Retirees from all fields of work who still have so much to offer their community. College students with busy schedules who think of helping others. Busy full-time professionals with compassion for others’ struggles. In this particular class we met a massage therapist, an MBA in the insurance business, several RNs, a benefits specialist, some students from West Chester University, a retired audiologist, several at-home moms, just to name a few. What an array of talents and real-life perspectives to offer our many students! On the first night of every 3-night training session we go around the room and hear each trainee tell why they came and why they want to tutor. Each and every time, I am blown away. Yes, indeed. They’re out there, folks: lots of generous, caring people who want to help another individual and strengthen our community at the same time. Maybe you will be part of the next class?